We ran our Enchroma color deficiency test for 8 straight weeks. Inviting people to come into the clinic and try on the Enchroma glasses and take our color blind test and here are the results from our Enchroma color deficient sunglasses test: From a subjective perspective, color deficient patients did see colors more vividly and with more detail especially in patterns or backgrounds that had several different colors. However objectively (able to measure) no color deficient patients scored any better on the color deficiency test. 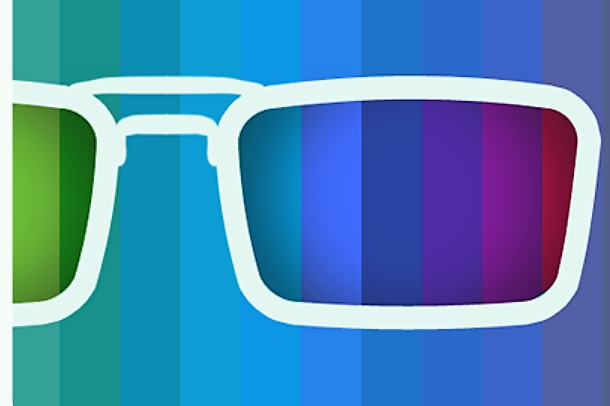 Enchroma glasses are an optical assistive device; they are not a cure for color blindness. Results vary depending on the type and extent of color vision deficiency per individual. The glasses are estimated to be effective for 4 out of 5 cases (80%) of red-green color vision deficiency – prospective users are encouraged to take our online color vision test to assess the likelihood of efficacy. So overall, no significant improvement (from a scientific objective perspective) was realized by any of the color deficient people we tested. To learn more about color blindness please click here. Otherwise, to read our other blog on color deficiency please click here.If you feel that you may be color deficient please make an appointment at our clinic to be seen by Dr. Steve.